How do I choose which tea to drink? What are the main health benefits of tea? How much caffeine does tea contain? What is the proper temperature for brewing tea? How do I properly store my tea to keep it fresh? Do you sell storage tins for tea? Does The Cozy Tea Cart offer gift certificates? How do I brew good iced tea? How do I brew my own Chai Tea? The Cozy Tea Cart uses PayPal as its credit card merchant. Our customers can rest assured that they are submitting credit card information through a secure online site. Additionally, all credit card information remains confidential. The Cozy Tea Cart will never sell or trade our customer names, addresses, phone numbers, or email addresses. Your privacy is very important to us. PayPal is a Secure Server used to transmit your credit card information. The data sent through PayPal is in an encrypted (scrambled) form. If you choose to supply us with your email or telephone number with your order, we may use this to contact you regarding your order. We will not use it to send any promotional information without your consent. If you would like to hear about our new teas and upcoming events, you can sign up for our newsletter here. If your browser does not support secure transactions, you may place your order by phone by calling us at 603-249-9111. All orders require 24 hours for processing, no exceptions. From September to December, normal preparation time is 48 hours for shipping. Once packages have left our facility they are in the hands of the US Postal Service. We are unable to reship or reimburse postage due to late or delayed deliveries. If you cannot receive US Mail, please notify us so we can make other arrangements. Shipping charges are based on the weight of the package. Packages that are shipped by 2nd Day air or Next Day Air are not always shipped the same day the order is placed. Shipping is dependent upon the time of day the order is received. All orders placed after 3:00PM on Friday will be shipped on the following Monday. How do I return a product that was received damaged? How do I return a product that was not damaged or company error? 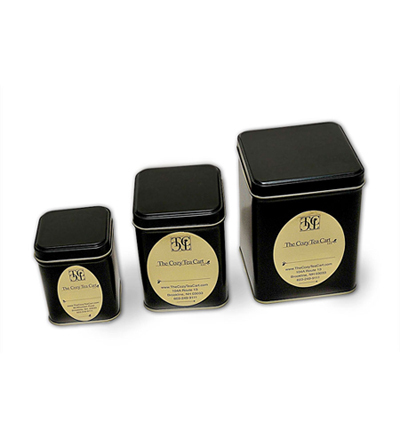 We strongly recommend reading the description of the tea carefully and purchasing a sample or a minimum of 2 oz. of a new tea before purchasing a large quantity. The package and product must be returned in their original condition along with the original sales/packing slip. If you return a product for any reason other than damage or company error, we will gladly refund you with a store credit for each item, less a 35% disposal fee. (This is a fee that is applied to products that have been opened, tried, and returned due to customers dislike of a product. Since it can no longer be used for resale, the fee covers a small percentage of The Cozy Tea Carts loss.) Unfortunately we do not cover the cost of shipping unwanted items back to us. Is there a fee if delivery attempts are unsuccessful? There will be a 35% restocking fee applied to all packages returned to us because an incorrect address was given, or if all three delivery attempts by the carrier are unsuccessful. This fee covers the shipping charge billed to us by FedEx or UPS if your order is returned undeliverable. Send all product returns to: The Cozy Tea Cart, Returns Dept., 104A Route 13, Brookline, NH 03033. We genuinely appreciate your business. It is very important to us that our customers needs are met. We are sure our teas and accessories will satisfy you. If you have any questions regarding tea or items in our retail or on-line store you can reach us at info@thecozyteacart.com or by calling 603-249-9111. There are over 3000 varieties of tea available today. With the growing selection of tea, you are probably wondering which tea to choose. Some teas may be better enjoyed in the morning, while others are afternoon or evening teas. The teas suggested below have different strengths and flavors. They can be found as the base of many of the blended and flavored teas The Cozy Tea Cart offers, or as 100% straight teas. The detailed descriptions of each of our teas in our Tea shop are available to aid you in choosing the tea that is right for you. All tea comes from the Camellia sinensis plant. There are three major types of teaBlack, oolong, green. White tea has recently been introduced into the U.S. and is becoming quickly popular because of its greater amount of health benefits. Black, or fully oxidized tea, produces an amber-colored, full-flavored beverage without bitterness. Oolong, or semi-oxidized tea, produces a slightly bitter, light brownish-green liquid. Green, or unoxidized tea produces a mild, slightly bitter, pale greenish-yellow beverage. White tea, also unoxidized, is a very delicate tea made from the unopened new buds of the plant. After being gently dried, the buds have a silver white appearance and produce a pale, straw colored beverage with a subtle flavor. Tea is primarily grown in Mainland China, India, Sri Lanka (Ceylon), Taiwan (Formosa), Japan, Nepal, Australia, and Kenya. Teas are classified according to their region of origin. For example, China, Ceylon, Japanese, Indonesian, and African tea. Smaller tea districts include Darjeeling, Assam, Nilgris from India, Uva and Dimbula from Sri Lanka, Keemun from Chi-men in Chinas Anhwei province and Enshu from Japan. Tisanes, or herbal infusions are blends from herb plants and contain no tea, therefore, they are not considered teas. They come from different parts of the herb plants and are often blended with other herbs to create soothing, relaxing tisanes. Examples of these would be peppermint, lavender and chamomile. The Cozy Tea Cart offers a wonderful selection of many of these teas. The amount of caffeine in a cup of tea is determined by how you are brewing your tea. If brewed properly at the right temperature and for the correct amount of time, the caffeine content will vary by the type of tea you are brewing. Use the chart below as an estimated guideline. Too much caffeine can cause: rapid heartbeat, irritability, insomnia, indigestion, nervousness, and dizziness. Health experts agree that 400 450 mg of total caffeine intake from all sources (coffee, soda, chocolate, tea and others) per day is safe for adults and children older than 12. To eliminate caffeine intake completely, please consider switching to herbal tea, because even decaffeinated tea and coffee contain a trace (between 5 and 10 milligrams) of caffeine. All teas are not brewed the same. The act of brewing tea is part of the tea ceremonyto fully appreciate a quality cup of tea, one must brew it properly. For black teas and tisanes, bring the water to a full boil (approx. 212oF), and steep for 4-5 minutes. These leaves can be re-infused a second time. For Oolong teas, bring the water to just under a boil (approx. 180oF-200oF) and steep for 1-2 minutes, repeating up to 5 more infusions. For green and white teas, the water should be between 160oF and 180oF. Green tea should steep for 1-3 minutes and white tea for 2-3 minutes, and also can be re-infused a second time. Measure one level teaspoon of loose tea into the infuser for each cup desired. Pour prepared water over tea and steep. Remove the infuser, sip slowly and enjoy! The biggest enemies of tea are Air, Moisture, Light, and Heat. These elements cause degradation, which adversely affects the flavor of the tea. Loose tea can be stored for up to 1½ years in an airtight container that does not allow light to penetrate through, without any ill affects on flavor or quality. Tea bags can be stored for up to 6 months without any adverse affects on the quality of the tea. Yes, we do. We have 2 oz, 4 oz and 7 oz tins. The density of the tea determines the size of the tin. For example, 2 oz of most black teas will fit in a 2 oz tin, but 2 oz of a lighter tea, such as our Organic French Blue Lavender, will fit in a 4 oz tin. Our tins are airtight and lightproof, which makes them the perfect storage solution to keep your teas fresh. Gift certificates are available from The Cozy Tea Cart and can be obtained in any value, good for both merchandise as well as services. Tea time, or the act of taking tea, forces us to slow down and delight in the fragrance of the tea while we reflect on our thoughts. Why not purchase a gift certificate as that special gift for a friend or family member who you think might enjoy the simple act of taking tea. *Gift certificates are good for up to 6 months from the date of purchase and are now available online. It is important not to skip the brewing process when making iced tea. Using this most common way of brewing tea increases teas maximum antioxidants. Refrigerator brewed tea may keep the antioxidants confined. Because this is freshly brewed tea with no preservatives, you should drink your tea within 72 hours of preparing it. After this, the healthy benefits will begin to fade. When preparing black iced tea, Ceylon and China black teas are preferred as they will not cloud when they are iced. Cloudy tea will not affect the taste, only its appearance in the cup. All tea types, Black, Oolong, Green and white can be used to prepare iced tea. Many herbal tisanes are also excellent iced. There are several ways to prepare a delicious, antioxidant rich pitcher of iced tea. Using purified, filtered or spring water will allow you to taste the full flavor of the tea. By following the steps below, you will produce an antioxidant-loaded iced tea with ample flavor and fragrance. And, if you are trying to cut down on caffeine, the cold brew method (or refrigerator method) is the perfect choice because cold water does not extract caffeine from the loose tea leaves. To prepare a pot of strong hot tea, use the measurements suggested according to the directions on the tea package, for the size of your pot. Then add an additional teaspoon of loose tea or one additional tea bag for a strong flavor. Steep the tea for the number of minutes suggested on the package. Pour the hot tea over ice. This will help prevent clouding of the tea. If the final liquid is cloudy, try adding a few teaspoons of boiling water. The ice will dilute the tea, providing the optimum flavor for your iced tea. Prepare the water to the appropriate temperature for the type of tea you are using. Pour 1 cup of the prepared water over the tea bag. Let it steep for 12-15 minutes. Squeeze the teabag and remove from container. Pour in cold water and let steep in the refrigerator for up to 6 hours or overnight. Strain the tea leaves and enjoy! Garnish your tea with a lemon, lime, or orange wedge, or a mint leaf. Sugar can be added to sweeten the tea. Use a cinnamon stick, together with an orange and lemon slice for a spicy kick! These are an uplifting treat for both children and adults! Prepare your iced tea using one of the methods suggested above. Insert a stick into each pop. You can also use this method to prepare tea flavored ice cubes. Fruit flavored teas work nicely. The ice cubes add a delicious burst to a glass of water or fruit drink. Iced tea makes a refreshing, stimulating beverage all year round, especially during the summer months. It can also be invigorating as a pick-me-up after exercising. We have Richard Blechynden, an Englishman and India Tea Commissioner, to thank for his enterprising commercialization of iced tea in the United States. It was at the 1904 St. Louis Worlds Fair, on a sweltering hot day, where he got the idea to serve his hot tea over ice. The people attending the fair were quick to drink his tea to quench their thirst. This new iced brew helped to introduce the black Indian and Ceylon teas to the US, and allowed Blechynden to continue to popularize iced tea, which spread quickly through the United States. When trying to decide between convenience teas (ready to drink teas) and hot brewed tea, studies have shown that most homemade iced tea has more antioxidants than convenience teas. Since the levels of antioxidants in the green and black teas are similar, whichever type you choose, you will be getting a healthy, refreshing glass of iced tea! Brew Your Own Chai and serve it hot or cold! Use The Cozy Tea Carts American Chai for a sweeter infusion, or the Indian Spice tea for a more authentic Indian Chai spiced tea blend. For a caffeine-free version of chai try our Rooibos-based Organic Chai. Heat 1 cup of water and 1 cup of milk in a saucepan over medium heat until just to a boil. Allow to cool slightly. Strain through a tea infuser and add your sugar and/or honey to taste. Enjoy!